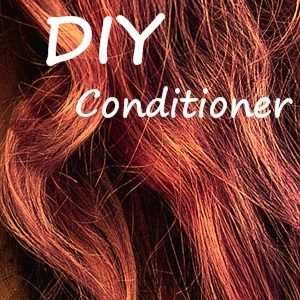 Natural Homemade Hair Conditioner recipes. Mayo, Honey, Olive oil ..
Natural Recipe Ingredient ideas and list!! Jojoba oil is similar to sebum, which is secreted by human sebaceous glands to lubricate and protect skin and hair. Jojoba oil conditions hair and prevents it from becoming brittle and dull. Coconut oil is one of the best natural nutrition for hair. It helps in healthy growth of hair providing them a shinny complexion. Coconut oil prevents dandruff, lice, and lice eggs, even if your scalp is dry. It is an excellent conditioner and helps in the re-growth of damaged air and provides the essential proteins required for nourishing damaged hair. Palmarosa: helpful for balancing oily and dry skin. 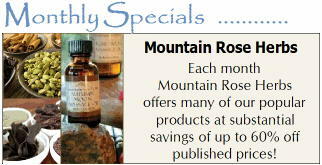 Free natural recipes for your face, hair, body, and bath. 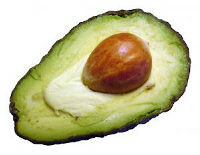 Mash cooked avocado then add mayo in a medium-sized bowl. Apply to damp hair. Use shower cap or plastic wrap to seal body heat in. Leave on hair for 20 minutes. Mix the avocado with coconut milk in a bowl. Heat in microwave for about 45 seconds or until slightly warm. Massage mixture into clean, damp hair. Cover with shower cap for 15 minutes. Shampoo & rinse out. Shampoo hair then towel dry. Apply room temp. mayonnaise to your hair. Massage in. Let sit for 10-15 minutes, shampoo again and rinse with an apple cider vinegar and water solution. The apple cider rinse will help with the smell and remove any mayo residue. Hair will be super shinny. Mix ingredients in bowl, then heat in microwave for 20 seconds to warm. Apply to damp hair before shampooing. Let sit for 20 minutes. Rinse, then do a second shampoo. Mix water and oil with a whisk then warm on low heat. Massage mixture into the scalp and hair. Wrap hair in a hot towel for 15 minutes. Shampoo & rinse out. Place coconut oil and honey in a small Ziploc plastic bag and place the bag in a hot cup of water for 1 minute to warm. Apply to hair, and leave on for 20 minutes. Wash then dry hair. Apply a few drops at night to scalp in thinning areas. Do not rinse out till morning. Place oils in a small Ziploc plastic bag and seal. Place the bag in a hot cup of water for 1 minute to warm. Roll bag in hands to mix oils. Apply to clean, damp hair. Wash then dry hair. Place oils in a small Ziploc plastic bag and seal. Place the bag in a hot cup of water for 1 minute to warm. Roll bag in hands to mix oils. Apply to clean, damp hair. Shampoo & rinse out. Follow HM Beauty Recipes's board Natural Hair Conditioner Recipes on Pinterest.